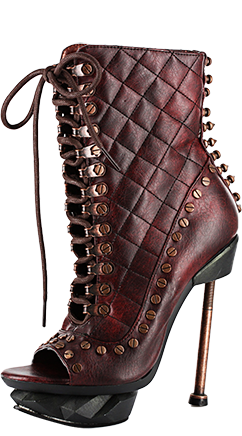 We've just added a whole slew of the most amazing new shoes, for the Steampunk crowd & beyond. Although the pictures don't really do justice to the amazing look of these shoes, it is the quality of the craftsmanship that really wowed us. Try out a pair we're sure you'll agree! As always, we offer free shipping to the continental US (and we shop around to find the best international rates for our overseas brethren).